Dr. Chris Carringer knew he wanted to go into the medical field and possibly be an orthopedic surgeon. He studied pre-med at N.C. State and volunteered at Rex Hospital in Raleigh. Then it hit him. His father knew several chiropractors and suggested that Chris look into chiropractic as a career. The rest, as they say, is history. He knew very little about chiropractic at the time, but visited Life University near Atlanta. “I visited the campus and got the idea that I could help people without drugs or surgery. That fit with my way of thinking,” he explains. Dr. Carringer came away from Life University with more than just a chiropractic education. Toccoa isn’t just where Dr. Carringer works – it’s the place he calls home. He and his wife Kelly live in Toccoa with their two sons. They are active at Ebenezer Baptist Church and teach children’s church there. Dr. Carringer’s family also maintains a very active lifestyle. “We’re outdoors people – if it’s nice, we’re outside.” You might see them playing tennis, swimming, hiking, or riding their bikes. 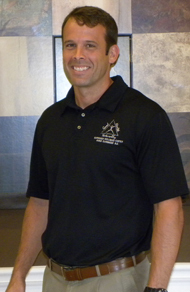 Dr. Carringer likes to play golf, and his children play soccer and basketball. Dr. Carringer also stays busy as a coach for his boys’ teams. Stop in or give us a call today! We offer two locations to serve all your chiropractic health needs in Toccoa and Lavonia.